The intent of the Program is to help improve the health and well being of low-income households and individuals by providing them a means to meet their nutritional needs. Contrary to popular belief, SNAP benefits are not meant to meet all of the food needs of a household or an individual, but to supplement their nutritional needs. People do not need to be destitute to qualify for SNAP benefits. 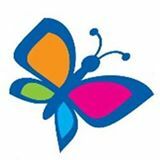 Interim HealthCare®, founded in 1966, is the nation's leading home care, hospice and medical staffing company. Interim’s more than 300 independently owned and operated franchise locations provide a variety of home health, senior care, hospice, palliative care, pediatric care and healthcare staffing services. AbleNet is an international company and industry leader in providing educational and technical solutions to help children and adults with disabilities lead productive and fulfilled lives. This includes a complete line of communication aids for nonverbal individuals; access aids for all ages and situations; and special education classroom curriculum that both enhance and help ensure learning progress. Morrison Child and Family Services is a non-profit organization that delivers specialized services to children, from birth through age 18, and families coping with adversity and trauma. We respect the complexity of human nature and human needs–we guide children and their families through difficult issues by tailoring treatment plans to address individuals' needs and help them live productive lives. OHA and its partners are improving mental health services to children by involving parents and youth in decisions, delivering more children's mental health services in the community, improving inter-agency cooperation and acknowledging the child's language and cultural heritage. AbleData provides objective information about assistive technology products and rehabilitation equipment, and a directory of products. “Do you know someone with a disability, living in Oregon, who could benefit from access to affordable assistive technology? The Board of Directors for the Washington Access Fund announced that they expanded our successful Assistive Technology (AT) Loan Program to include people with disabilities and seniors (and their families) in Oregon. Oregon residents are now eligible for assistive technology loans up to $10,000. Includes Oregon youth conservation corps information, GED program, a list of careers, and other information on the left sidebar. Prospective college students with disabilities will find that many campuses are equipped with offices and services that address accessibility, accommodation, and Assistive Technology for a diverse range of needs. Student services offices and disability coordinators at many colleges work to make campuses inclusive environments through specialized advocacy, support, and academic services. There are many financing options and benefits available to disabled students. This is our guide to the opportunities out there. Answers questions about college life: establishing a budget, how to pick a college roommate, arrange a college schedule that you can live with, about your freshman year. Welcome to Planning for College where you will learn the ins and outs of what you need to do to plan for college! A list of vocational schools in Oregon, by city, by subject, and by school. A resource for students with visual impairments preparing and planning for college. The Jed Foundation knows about the complex transition from high school to college. Our experience shows parents can benefit from having the right information and resources to help them anticipate, plan for, and protect the emotional health of their college-age children. Answers questions that teens have about health issues, body changes, mental health and other questions. Our website is designed to provide the information and tools parents need to understand their unique child/children and to enable them to help each child develop into the successful human being they were meant to be. 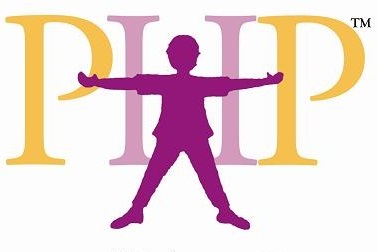 Parents Helping Parents (PHP) strives to improve the quality of life for any child with any special need of any age, through educating, supporting and training their primary caregivers. Parents and educators know that children with special needs have gifts and talents—it’s just a matter of unleashing their full potential, and making sure that their parents and teachers have the right information, tools and support to help them. That’s where Special Education Guide comes in. We are your go-to resource for mastering the terminology, procedures and best practices in special education. The Department of Education provides a list of resources pertaining to the needs of children with disabilities. Team of Advocates for Special Kids (TASK) is a nonprofit charitable organization whose mission is to enable individuals with disabilities to reach their maximum potential. CerebralPalsyGuidance.com is a comprehensive informational website on cerebral palsy. From information on cerebral palsy symptoms to financial assistance to daily living articles, CerebralPalsyGuidance.com covers all aspects of cerebral palsy. And all of the information is thoroughly researched and cited.